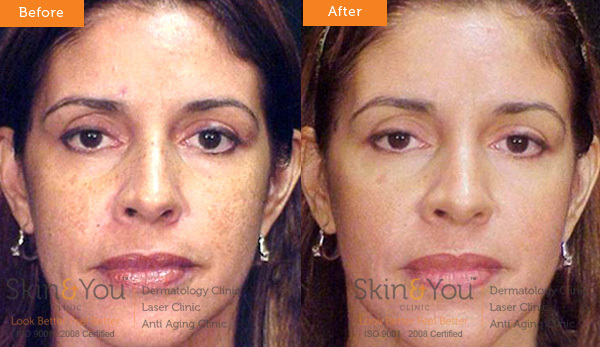 What Does Cosmelan Depigmentation Treat? How Does Cosmelan Depigmentation Work? Cosmelan Depigmentation treatment action mechanism is based on the inhibition of tyrosinase, a basic enzyme in the melanin (pigment) formation process. Several of the substances present in the Cosmelan formula act by blocking this enzyme, or even by changing the action of the enzyme. What Are the Advantages Of Cosmelan Depigmentation? No peels can be done 2 weeks prior to treatment No Laser treatment can be done on area to be treated 2 days prior to peel ,Avoid Botox and Filler in area to be treated 2 weeks prior to peel.